Whenever I meet tweens and teens who are interested in a writing-related career, I tell them to go ahead and start. 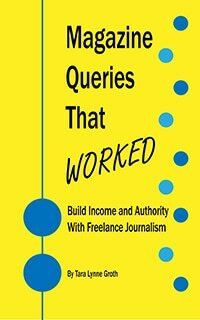 If they have the skills already, editors and businesses want great material, and age doesn’t come up in your query letter or letters of interest (LOIs). If I would have known about freelance writing when I was in high school or college, I would have definitely started then! Freelancer Hailey Hudson shares what her day is like at age 19, but don’t think that she’s brand new to her writing career–she traditionally published her first novel last year. 8:30: Because of medical problems, it’s all I can do to drag myself out of bed every morning by 8:30. I check email and take two daily planners to my full-size whiteboard, where I write an hour-by-hour schedule for the day. 9:00: I schedule whatever task requires the most focus first thing. Today, I work on a blog post I’m writing about hot yoga and its effect on metabolism—lots of research, but the website pays well. My primary niches are fitness, music, and education, but I also love writing about nutrition and travel. 10:00: I write an article about how kids’ vision affects their learning capabilities. The piece is for a regional education/parenting magazine where I work as the associate editor and copy editor. My career so far has held an equal mix of copywriting and journalism, and I love both. 11:00: I have a phone meeting with a potential client. It goes well! I spend some time on LinkedIn, which is a helpful marketing tool for me: I connect with people, ask for referrals, and browse the full-time job listings to see who might need a freelancer. By this time of the morning, though, I begin to run low on energy. 12:00: I take a break to eat lunch (while reading a book), work out briefly, take a shower, and get dressed (in clean workout clothes, that is). I understand all the reasons why getting dressed to work from home can help you get in the right mindset, but unless I have a video call, it’s just too much work. 1:00: After lunch, I typically get my second wind. Today I work on a business profile for a client. This isn’t the type of writing I normally do, but it’s consistent money and interesting work. 2:00: I apply to a few promising jobs from online freelance writing postings and send some LOIs to marketing managers of companies who could be potential clients. To keep my business running, I have to spend 50% of each day on tasks that aren’t billable, which is why I keep raising my rates so I can make enough during my billable work hours. 3:00: Although I focus on work during weekdays, I also take breaks and get out of the house for my sanity. I work as the site coordinator for a local nonprofit that tutors kids 1-2 afternoons a week, I take a tap dance class through my local park and rec, and I go out for short coffee breaks with friends. But today I’m at home, and I have a series of small administrative tasks I need to get done—banking, sending a few invoices, adding new portfolio pieces to my website, booking a hotel for an upcoming writer conference, and answering texts and emails. 4:00: I’m currently enrolled in a fantastic six-month intensive program for freelance writers designed to help mid-career freelancer double their income. As part of that program, I’m taking a course on persuasive copywriting, so I spend some time working through the material. 5:00: It’s my favorite part of the day: time to work on my novel! My first book was traditionally published in 2017, when I was 18. I’ve written two more YA novels since then and am planning to continue along the traditional path. Writing fiction is extremely difficult these days, though—freelancing 9-6 drains my creative energy. I don’t normally have time to work on my novel during work hours, and I’m glad I do today. 6:00: I’m absolutely exhausted. After dinner with my family, I go to the ballpark to hang out with friends and watch my brother’s baseball game. Then I come home and read until falling asleep at 9:00. Hailey Hudson is a young author, editor, and full-time freelance writer based out of Atlanta. She writes primarily about fitness, music, and education. When she’s not writing, Hailey is belting Broadway soundtracks, exploring north Georgia, or snuggling with her beagle puppy, Sophie. Hailey is available for hire. Find her on Instagram @haileyh412, Facebook, and LinkedIn. With your age, i didn’t believe that in this small age you have written a novel, in India no one is running to write as like an author or freelancer.Y ou are the great inspiration for the teenage students. Hailey, your day-in-the-life is truly inspiring! I’m really impressed by your time management…something I struggle with to this day. Thank you for sharing.